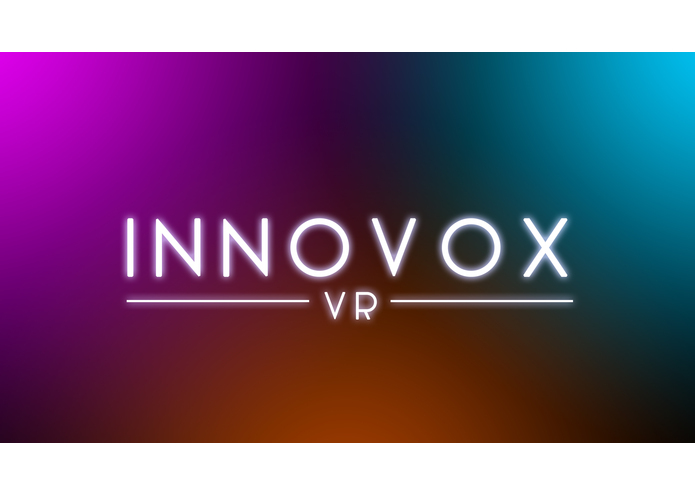 InnovoxVR is an interactive music/art experience inside virtual reality. It was created during the 2015 mobile VR jam by opera singer/composer Elizabeth Zharoff, programmer Keith Kaisershot, and artist Samuel Hum. The user appears inside of a dark sphere, which has 12 surrounding vertices. Each vertex corresponds to a unique vocal track. When all tracks play simultaneously, the user hears one voice weaving into a song. The audio projects from each vertex, so that the user is encompassed, and can experiment with auditory perception. There is no directional movement inside the experience other than turning the head. To trigger a track on, the user looks at a vertex and then taps once on the Gear VR headset. To trigger the track off, the user taps once more. Thus, the user can select different layers of the track, choosing which to hear. We used Unity 4 to develop the experience. The art perfectly complements the audio, also flowing once a track is triggered. When a vertex is activated, an image resembling a galaxy spirals outwards. As the music intensity increases, the spiral speed also increases, making the entire sphere seem to pulse faster and brighter. Floating creatures also emerge and float around the user. At the end, the creatures and galaxies all explode with light, as the screen fades to white and the music ends.